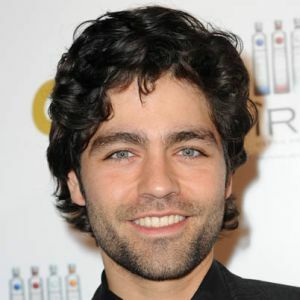 You think to yourself, “Wow, Adrian Grenier is really attractive.” You’re curious, so you look him up on Wikipedia. You find out that he was born in New Mexico, is 8% Native American, and his dad’s last name is Dunbar, among other things. Months pass, and then one day, this actor somehow comes up in conversation. Because it’s relevant, you find yourself spewing out the Wikipedia information, freakishy almost word for word from the original article. Suddenly, you feel creepy. You feel like you need to defend yourself for knowing all these oddly specific facts about a total stranger off the top of your head. “That’s funny, I just happened to look him up on Wikipedia a day ago or something,” you say, for damage control purposes. I’ve found myself in situations like this wayyy too many times. But I’m not creepy, I just have a really good memory! And on top of having a really good memory, I’m highly detail oriented and observant. In addition to remembering a ton of random facts (usually personal facts about people I don’t even really know tbh), I see really specific things that most people wouldn’t. If I’m talking to a person and they have three gray hairs, a mole on their neck, and their fly is open, I’ll notice, and I’ll remember. It’s not that I’m looking at people’s crotches or faces or hair trying to find these things (believe me, I’m not). It’s not that I’m a judgmental person who tries to “size people up” while speaking with them. It’s not even like I say anything when I see these things. I simply just can’t help but notice! Own It: If you’ve already spewed out information that could be deemed “creepy,” there’s no turning back. You’ve said the info. At this point, you’re just going to have to own it. You shouldn’t really feel the need to defend yourself, but if you do, just simply state your sources. Knowing detailed information actually won’t make you seem that creepy. Getting overly defensive and lying about your sources will. Take Pride: I feel like being detailed oriented sometimes gets a bad rap. But it’s actually a totally AWESOME skill to have. I love detailed oriented people. Working with them is a pleasure. The next time you remember, notice, or blurt out a really specific detail about a person or thing, instead of feeling like a weirdo, give yourself some props for knowing this random little nugget of information (that would probably fly past most peoples’ heads). Understand that the word “creepy” is wildly overused in this day and age: The word “creepy” is so overused today that it has basically lost all of its meaning (at least to me). Knowing the names and faces of a random facebook friend’s family members actually isn’t that creepy. People post and share stuff on platforms like facebook so that other people (aka YOU) will see it. Knowing that my dad’s name is Elliot and my younger brother used to live on an air mattress in my apartment isn’t creepy. Being a total stranger to me and reading this blog right now isn’t creepy. Doing a midnight drive-by past your crush’s house totally alone with a pair of binoculars IS creepy. Ok, people?! Hope you enjoyed this one! Not sure what my next post will be…you’ll just have to wait and see!